Beauty isn't one size fits all so we've partnered with Maybelline, celebrating diversity and introducing 40 new shades to the Fit Me Matte and Poreless Foundation range. Beauty is not one size fits all and we're always seeking inspiration from those around us — whether it be traditional or unconventional. Recently, Maybelline celebrated diversity by introducing 40 new shades to the Fit Me Matte and Poreless Foundation range. Together with POPSUGAR Australia, we shine a spotlight on the individuals who celebrate diversity and boldly embrace the passions that make them truly unique. With some of Sydney's most iconic sights as our backdrop, we photographed some of the women on the rise we love to follow on Instagram: fashion blogger, Kath Ebbs; dancer, Rechelle Mansour; and model, Lihini Rose. In our interviews below, they opened up about their heritage, growing up in Sydney, and their individual paths to self-acceptance. Meet Kath Ebbs: A creative chameleon. Speaking to POPSUGAR Australia, Ebbs expressed a desire for diversity, not just in beauty standards, but for the way we work. As a Sydney-native, Ebbs' interests span into the health and wellbeing space, running her own smoothie bowl business and simultaneously flexing her creative arm as a fashion blogger. She believes the days of being labelled a 'specialist' in just one area are long gone. We need to be agile, and continue to evolve and grow. 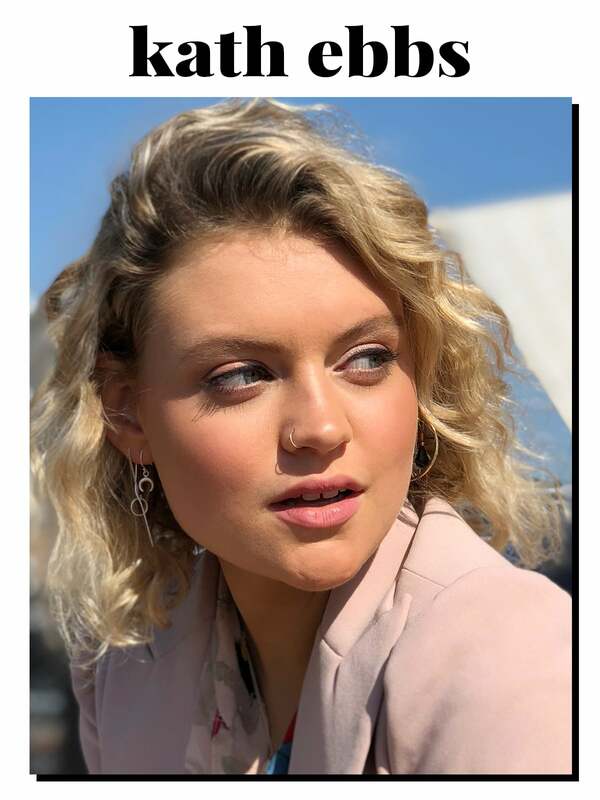 With an Irish-Australian heritage, you can't help but be enamoured by Ebbs' porcelain complexion, large blue eyes and calming aura, but she explains that she hasn't always felt this comfortable — "I really wanted braces growing up but now, I love the gap in my teeth. I was 17 when I started to accept who I was and acknowledged that it was OK to look different. The way I think about beauty now is that we all have different features to one another and I am grateful to have something that others don't." For Ebbs, the definition of beauty isn't what's just on the outside, it what's on the inside — "For me health isn't just looking good but it's a state of mind too." Ebbs explains she finds the beauty in others through their aura — "We are attracted to people who have a presence that is radiant and warm. I find people with a natural confidence to be the most beautiful." Ebbs herself exudes this natural confidence and she attributes it to her fashion sense. "Fashion to me is so expressive and it reflects my emotion. When I'm in an outfit that makes me feel good, it's the best feeling and that's when I feel most beautiful." 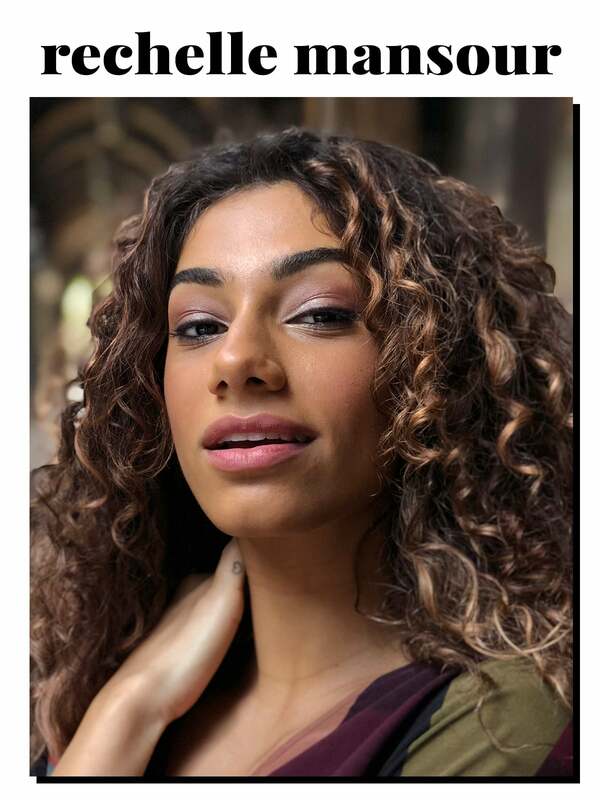 Rechelle Mansour is a dancer, singer, and model — a woman with a beautiful energy that exudes from within. Arriving at our office direct from Brisbane, we were greeted with a warm, spirited smile — and it's exactly what Mansour describes as her favourite physical feature. "I'm naturally a happy and positive person so my smile lights up my face, but I also like to remember, a smile impacts other people's days too." Mansour dances and sings full time, and describes each day as playing different characters. "This is why I love working — everyday is different and in the world of dance, diversity is embraced." Born and raised in Sydney with a Lebanese heritage, Mansour felt like she didn't fit in, with her strong faith, dark olive skin and thick eyebrows overpowering her physical appearance. It wasn't until she was hired for her first dance gig that she started to celebrate her uniqueness. "When I was hired for Billy Elliot, I realised the dance world didn't want just one-type of dancer, they wanted diversity. It was such a moment when I got the job because I realised my differences were beautiful and it was celebrated by others. It was that moment I felt so sure of myself." It's not only Mansour's dance passion that she is proud of, but she prides herself on her work ethic and the energy she brings into a room. "I do hope to continue what I love doing but I also want to be a role model for younger girls — helping them find themselves and celebrating their own individuality." Upon meeting Sydney-based model and entertainer Lihini Rose for the first time, we were greeted with a young gentle presence. Her passion for afrobeat dancing — a West-African inspired dance style combining funk and jaz­z, forms one of her creative passions and allows her to show off the other side to her personality. Rose explains "I love to entertain — I believe it's a way to help other people because it makes them happy and inspires them." Rose's physical features are uniquely striking — she sports natural curls thanks to her Papua New Guinean and Sri Lankan heritage, and piercing brown eyes. Originally born in Papua New Guinea, Rose migrated to Australia when she was five, but her teen years came with challenges. 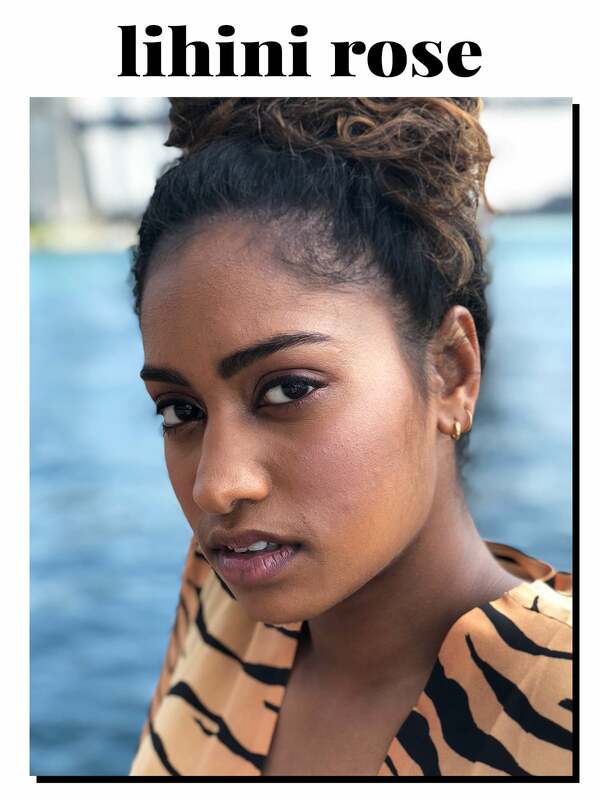 "Defining beauty during my teens was hard; I got teased and then pigeon-holed into what traditional Sri-Lankan beauty should be. But I got over it after I found my passion for dancing and modelling." Modelling is not only Rose's career but it's also her emotional haven, which she describes as "her way to convey her inner power and confidence." These days Rose not only embraces her natural beauty but more importantly, she feels most beautiful when she feels empowered to accomplish what she sets out to do. "I'm so driven by my best friend and other women who focus on the bigger picture—that's so empowering. I also want to also encourage others to express themselves because we are all different and unique; and that is so beautiful."